What do you think of models? They have the body, the walk, the face and the fame. They have other minor challenges they face too but of course we do not know what they are. One of them is the right breezy makeup to use in between shoots, fittings, shows or just hanging out on days they don’t have a makeup artist hovering over them piling tons of makeup on their faces and just like models, we all have times when we need to tone down the make-up but still look good. Here comes the tinted moisturizer and the 5-minute makeup trick. Tinted moisturizers are under-rated in this part of the world. They are however light weight formulations which play the part of foundations and moisturizers all in one. 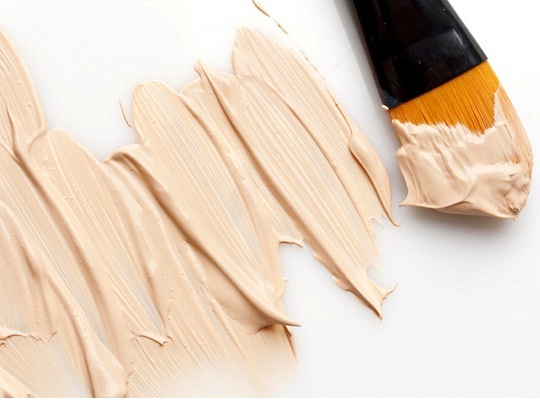 Apply a tinted moisturizer on your skin to even out skin tone, moisturize and also protect against the sun (be sure to get a formula that contains sun screen). If you don’t have a tinted moisturizer don’t despair. You can create one by mixing your foundation and moisturizer together at the back of your palm. Take your foundation and apply. Voila! Tinted moisturizer! Apply concealer where needed tapping with the pads of the ring finger. Lightly sweep the face with loose powder to set the foundation and concealer. Groom brows and apply brown mascara, for that natural look.